The next Powerball drawing is on Saturday night and just might be more exciting than any other evening plans you may have. The sheer record amount up for grabs has people around the country already making a list of what they'd do with the nearly one-billion-dollar amount. Just how much is the Powerball? The lottery is at a record-breaking $900 million, having risen earlier on Saturday based on the sheer amount of tickets purchased leading up to the evening drawing. The Powerball drawing is currently on a two-month winner-less streak, having began its monstrous rise in prize amount on Nov. 4, when winnings totaled $40 million. Update: After no one won the lottery on Saturday night, the Powerball grew again, with estimations putting the prize at $1.3 billion for Wednesday's drawing. On Saturday alone in the state of Virginia, officials are anticipating the sale of nearly 7 million tickets. The popularity of the Powerball as well as the dizzying prize money has spawned the #IfIWonTheLotteryIWould hashtag. Answers have ranged from humorous to heartfelt as social media users wax poetic on providing needed services to underserved communities or simply going out for a nice meal, paying off family debts, and laying low for a while. 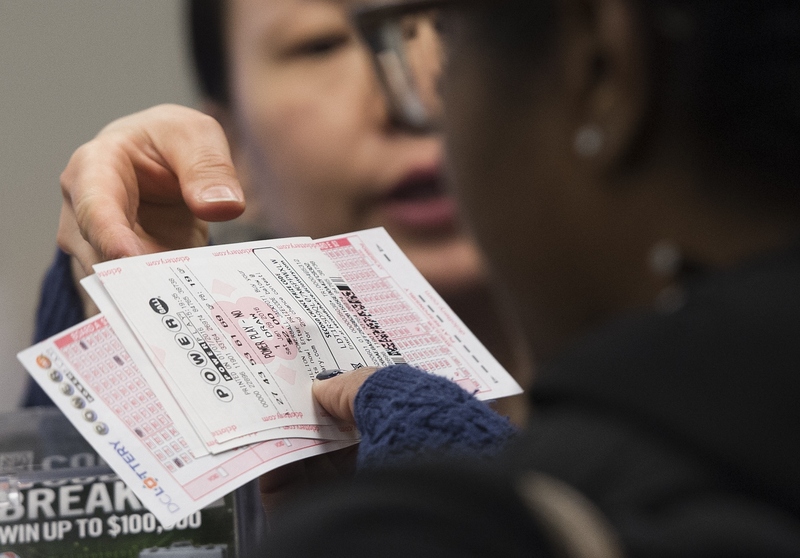 It's certainly difficult to estimate what to do with a potential lump sum of $558 million or a payment system in 140 characters, but lottery players are nonetheless trying their best. Those convinced that their lives would change little in the face of such winnings may have a bit of work ahead of them if they do, in fact, win the $900 million jackpot. Just six states preserve a lottery winner's anonymity: Delaware, Kansas, Maryland, North Dakota, Ohio, and South Carolina. Other states allow for the creation of a limited liability corporation that can claim the money instead to preserve a bit of anonymity. The first winners to form such an LLC for the purposes of a lottery victory are a Chicago couple who won the Illinois Lottery in 2011. The couple's victory totaled around $30 million; a small amount compared to the hundreds of millions the Powerball and MegaMillions national lottery jackpots have previously risen to. The last largest prize amount from a U.S. lottery was a massive $656 million prize that was claimed in 2012 by three MegaMillions winners to be split in Kansas, Illinois, and Maryland. If the Powerball money continues to go unclaimed after Saturday night's drawing, the total amount is set to rise to around $1.3 billion for its next drawing on Wednesday. Given the sheer popularity of the game in the face of the current $900 million jackpot, that amount could rise even higher.